UBS shares dropped 3% after the bank said it would slow hiring and slash costs by $300 million as it weathers “one of the worst first-quarter environments” in years. 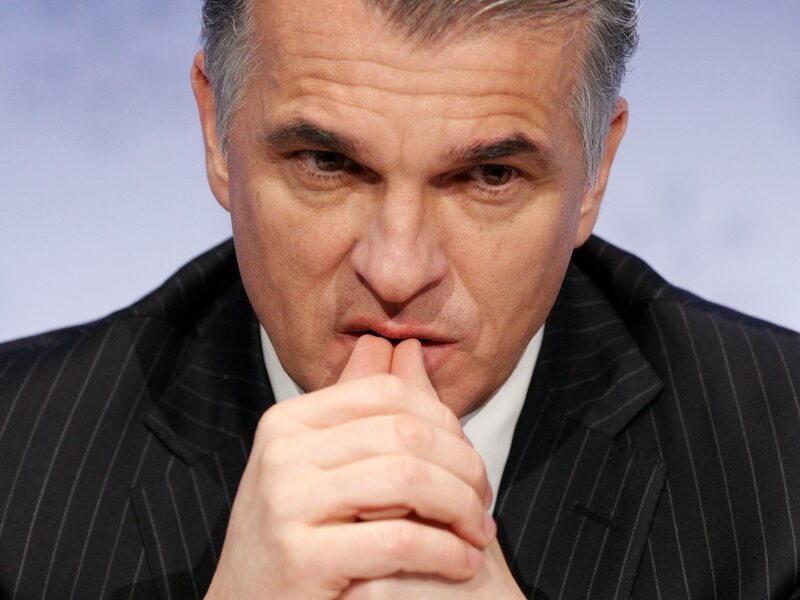 UBS will slow its hiring and cut its costs by $300 million this year as it weathers “one of the worst first-quarter environments in recent history”, CEO Sergio Ermotti told investors at a conference in London on Wednesday. Cautious Asian clients and US customers hoarding cash pushed the Swiss bank’s global wealth management revenue down about 9% from a year ago, Ermotti said, according to Bloomberg. The Swiss bank expects to post adjusted returns on attributed equity — a measure of how lucrative its investments are — of about 5% in the first quarter, according to CNBC. That’s a far cry from its target of 15% for the 2019-2021 period, and a sharp decline from the 12.9% it managed in 2018. Ermotti told investors he considered that “an acceptable outcome if it is a one-off,” in light of the dire market backdrop. Sentiment continues to suffer from Brexit uncertainty, the US-China trade war, and signs of a global economic slowdown.